Davao City (Cebuano: Dakbayan sa Dabaw, Filipino: Lungsod ng Dabaw) is a city in Mindanao island, the largest city in the Philippines in terms of land area, and the most populous city in the country outside of Metro Manila. It is geographically situated in the province of Davao del Sur and grouped under the province by the Philippine Statistics Authority but being a highly urbanized city, it is governed and administered politically independent from it. The city has a total land area of 2,443.61 km2 (943.48 sq mi), and a population of 1,632,991 people based on the 2015 census. This figure also makes it the third-most-populous city in the Philippines and the most populous in Mindanao. It is the center of Metro Davao, the third most populous metropolitan area in the Philippines (as of 2015 census with a population of 2.5 million, after Metro Manila's 12.8 million and Metro Cebu's 2.8 million). The city serves as the main trade, commerce, and industry hub of Mindanao and the regional center of Davao Region. Davao is home to Mount Apo, the highest mountain in the Philippines. The city is also nicknamed as the "Durian Capital of the Philippines". The city is divided into three congressional districts, which are subdivided into 11 administrative districts with a total of 182 barangays. Davao City is constantly described by its residents and the national media as arguably among one of the safest cities in the Philippines, however this has been met with criticism. When asked where they were going, the usual reply was davah (pointing towards the town). Official colonization of the area, however, began in 1848 when an expedition of 70 men and women led by José Cruz de Oyanguren of Vergara, Spain, established a Christian settlement in an area of mangrove swamps which is now Bolton Riverside. Davao was then ruled by a chieftain, Bago, who had a settlement on the banks of the Davao River (then called the Tagloc River by the Bagobos). After Cruz de Oyanguren defeated Bago, he renamed the region Nueva Guipúzcoa, founding the town of Nueva Vergara (the future Davao) on 29 June 1848 to honor of his home in Spain and becoming its first governor. Saturnino Urios, who labored among the Moros of Hijo in 1892, divided the population; those who wanted to live among the Christians left Hijo, and were resettled in Tigatto, Mawab and Agdao under the supervision of Francisco Bangoy and Teodoro Palma Gil. These groups generally refer to themselves today as Kalagans. The development of large-scale plantations faced a labor shortage, and workers were contracted from Luzon and the Visayas (including Japanese laborers from the Baguio, Benguet road construction). 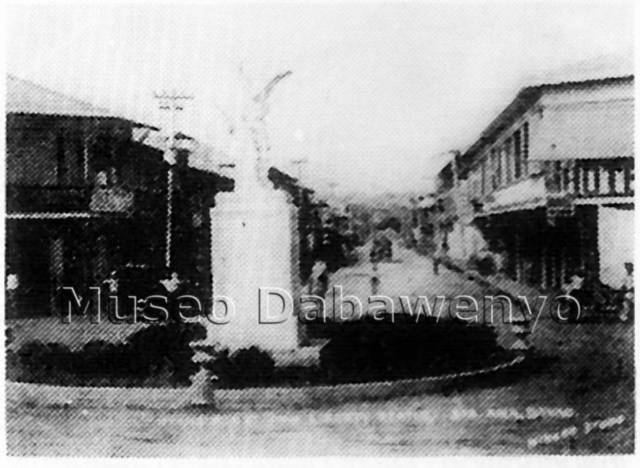 Because of increasing Japanese influence in the region's economy, on March 16, 1936, congressman Romualdo Quimpo from Davao filed Bill 609 (passed as Commonwealth Act 51), creating the City of Davao from the Town of Davao (Mayo) and Guianga District. The bill called for the appointment of local officials by the president. 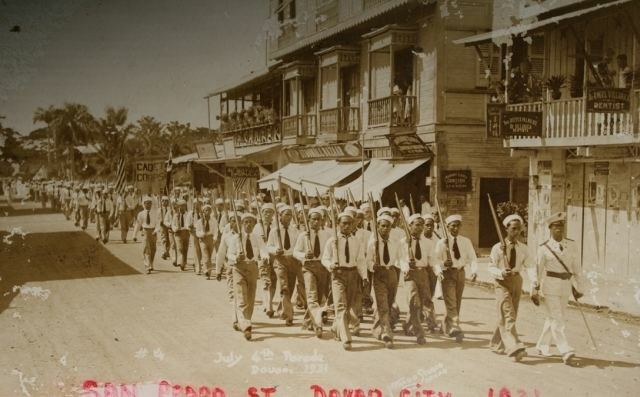 Davao was inaugurated as a charter city on October 16, 1936 by President Manuel L. Quezon. 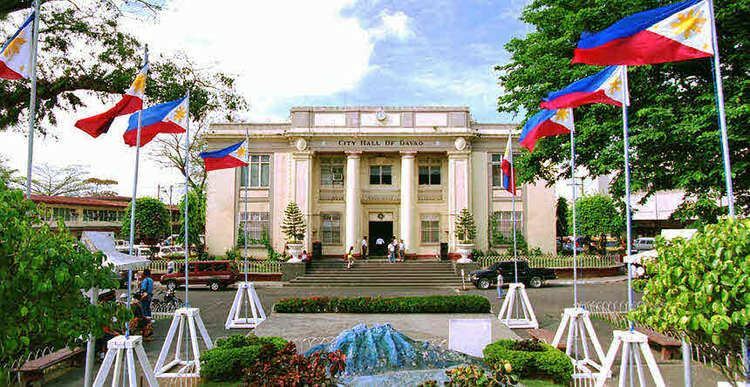 The City of Davao became provincial capital of a united Davao Province. It was one of the first two towns in Mindanao to be converted into a city (the other was Zamboanga). On December 8, 1941, Japanese planes bombed the harbor and from December 20, 1941 landed forces and began an occupation of the city which lasted to 1945. Davao was among the earliest to be occupied by Japanese forces, and the city was immediately fortified as a bastion of Japanese defense. The city was subjected to extensive bombing by forces led by Douglas MacArthur before American forces landed in Leyte in October 1944. The Battle of Davao towards the end of World War II was one of longest and bloodiest battles during the Philippine Liberation, and brought tremendous destruction to the city, setting back the economic and physical strides made before the Japanese occupation. In 1967, the Province of Davao was divided into three provinces: Davao del Norte, Davao Oriental and Davao del Sur. The city of Davao became part of Davao del Sur; no longer the provincial capital, it became a commercial center of southern Mindanao. During the 1970s, Davao became regional capital of southern Mindanao; with the reorganization, it became the regional capital of the Davao Region (Region XI) and highly urbanized city in the province of Davao del Sur. The conflict inside the city became severe, murders in the streets occurring very frequently. This situation lasted until 1985, when locals formed the vigilante group "Alsa Masa" (People's Rise) to drive the causative elements from the city. Real social stability in the city, however, began in earnest when Rodrigo Duterte first assumed office as mayor in 1988. Prior to this, the city had a reputation as the country's murder capital. Davao has a tropical rainforest climate (Köppen climate classification Af), with little seasonal variation in temperature. Average monthly temperatures are always above 26 °C (78.8 °F), and average monthly rainfall is above 77 millimetres (3.03 in). This gives the city a tropical climate, without a true dry season; while there is significant rainfall in winter, the largest rainfall occurs during the summer months (see climate chart, below). Mount Apo is home to many bird species, 111 of which are endemic to the area. It is also home to one of the world's largest eagles, the critically endangered Philippine eagle, the country’s national bird. The Philippine Eagle Foundation is based near the city. The orchid waling-waling, also known as the "Queen of Philippine Flowers" as well as one of the country's national flowers, is also endemic in the area. Fruits such as mangosteen (known as the "queen of fruits") and durian (known as the "king of fruits"), grow abundantly on Mount Apo. The population of Davao City is 1,632,991 according to the 2015 census. Metro Davao, with the city as its center, had about 2.5 million inhabitants in 2015, making it the third-most-populous metropolitan area in the Philippines and the most-populous city in Mindanao. In 1995, the city's population reached 1,006,840 inhabitants, becoming the first city in Mindanao and the fourth nationwide to exceed one million inhabitants. The city's population increase during the 20th century was due to massive immigration waves coming from other parts of the nation and the trend continues to this day. 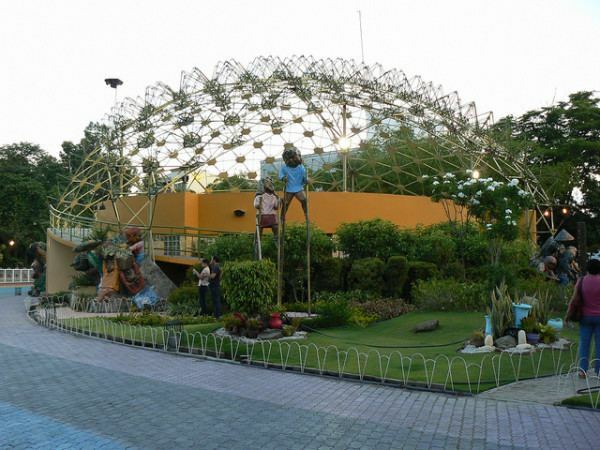 Residents of Davao City and the whole corresponding Davao Region are colloquially known as Davaoeños. Nearly all of local Davaoeños are Visayans (majority are Cebuanos and the native Davaoeño people, with minority are Ilonggos), while others from other ethnicity such as Lumad and Aeta form up the remainder of the local population. 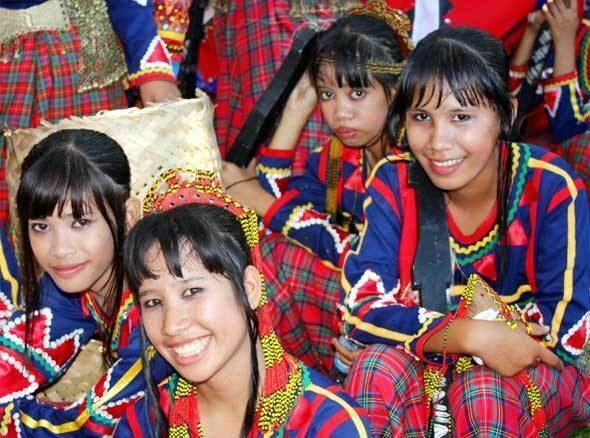 The Moro ethnic groups are the Maguindanaons, Maranaos, Iranuns, Sangirese and the Sama-Bajaus. Non-Filipino Asians such as Indonesians, Malaysians, Koreans, the Chinese, the Japanese and Indians have settled and made small communities in Davao City. Non-Asian foreigners such as the Americans and Europeans are also present in the city..
Davaoeño Cebuano, a sub-variant of Mindanao Cebuano, is the most widely spoken language in the city and its satellite cities and towns. English is the medium of instruction in schools and widely understood by residents. Aside from Davaoeño Cebuano, Davaoeño Chavacano and Mindanao tribal languages such as Tagabawa-Bagobo, Manobo-Bagobo and Mandaya are also spoken, as well as a localized form of Tagalog. A majority of Davao City's inhabitants are of the Roman Catholic and Iglesia Ni Cristo affiliations. Other Christian groups, such as the Members Church of God International led by Bro. Eliseo Soriano, The Church of Jesus Christ of Latter-day Saints (Mormons), Evangelicals, Lutherans, the Jesus Miracle Crusade, Pentecostal Missionary Church of Christ (4th Watch) and followers of the Kingdom of Jesus Christ, comprise eight percent of the city's religious background. Seventh-day Adventists, the United Church of Christ in the Philippines, Philippine Independent Church and Baptists are the other Christian denominations. The remaining five percent belong to non-Christian faiths, mainly Islam. Some of the other faiths are Sikhism, Hinduism, Buddhism, animism, Judaism and the non-religious. The Restorationist Church Kingdom of Jesus Christ had its origins in the city. Apollo Quiboloy, the claiming "Appointed Son of God", was the leader of the movement. The chocolate industry is the newest development in the city. Malagos Chocolate, developed here by Malagos Agriventures Corp., is now the country's leading artisan chocolate recognized worldwide. On the other hand, Seed Core Enterprises is the country's biggest exporter of cacao to Barry Callebaut. Durians however, which are locally grown and harvested and common in the city, are also notable exports. Banana is the largest exports in the city. Local corporations like Lorenzo Group, Anflo Group, AMS Group, Sarangani Agricultural Corp. and Vizcaya Plantations Inc. have operations and headquarters in the city. Multinational companies like Dole, Sumifru/Sumitomo and Del Monte have their regional headquarters here also. The Davao Gulf provides a living for many fishermen. Some of the fish products include yellow fin tuna, brackish water milkfish, mudfish, shrimp and crab. Most of the fish catches are discharged in the fishing port in Barangay Toril, which are then sold in the numerous markets within the city. Davao City serves as the main trade, commerce, and industry hub of Mindanao and is also one of the financial hubs of Mindanao. Phoenix Petroleum is a multinational oil company based here is the first company to be in the PSE Composite Index outside Metro Manila. Industrial plants such as those of Coca-Cola Bottlers, Phil., Pepsi-Cola Products, Phil., Interbev Phil Inc. and RC Cola Phil., companies located in the city, as well as fruit packaging-exporting facilities, food manufacturing plants and a large number of business establishments ring the city. There are also construction industrial plants such as those of Holcim Philippines and Union Galvasteel Corporation, and SteelAsia. Then SteelAsia is now the largest and most modern steel rolling mill production facility in the country, completed in December 2014 and was purposely built to increase the national steel production and to reduce the construction costs in Mindanao. One Network Bank, based in the city, is the largest rural bank in the Philippines in assets; most branches are in Mindanao (including 17 locations where it is the only financial-services provider). Government social-insurance agencies such as the Social Security System and Government Service Insurance System are also in the city. There are several commercial areas in the city: Downtown (the city centre), Davao Chinatown (Oyanguren), Bajada, Lanang, Matina, Ecoland, Agdao, Buhangin, Tibungco, Toril, Mintal and Calinan, the latter three located at the southwestern part of the city. There are many shopping centers that dot the city. Notable ones include: Abreeza, which opened in May 12, 2011, is the first and largest Ayala Mall in Mindanao, and SM Lanang Premier which aside from being the first and only SM Premiere Mall is also the largest shopping mall on the island. Other major malls in the city include Gaisano Mall of Davao, NCCC Mall of Davao, and SM City Ecoland, among many others. Victoria Plaza Mall, located on J.P. Laurel Ave., is the oldest shopping mall in the city, established in 1992. Construction of new shopping malls in the city are currently underway. Felcris Centrale is a mixed use Retail Mall, supermarket, and IT office complex located along Quimpo Boulevard. Like most cities in the Philippines, Christians predominate in Davao. Christian churches and chapels dot the city's landscape along with temples, mosques and other places of worship. Another Spanish tradition is the celebration by barrios (villages) of the feast day of their respective patron saint with a festival (fiesta). In these celebrations, songs and dance become the sights and sounds of Davao. The largest of these celebrations is the week-long Kadayawan Festival. The Davao Chinatown is the primary residence of the Chinese community in the city. It has its own seaport, the Santa Ana Wharf which is also a part of Davao International Port. Japanese cultural influence, like that of the Chinese, was also prominent in the city. The concentration of the Japanese Community before was in Mintal in the 3rd District of Toril, Davao City. In fact, a Japanese cemetery and Japanese Shrine is located there in Bago Oshiro in Mintal. 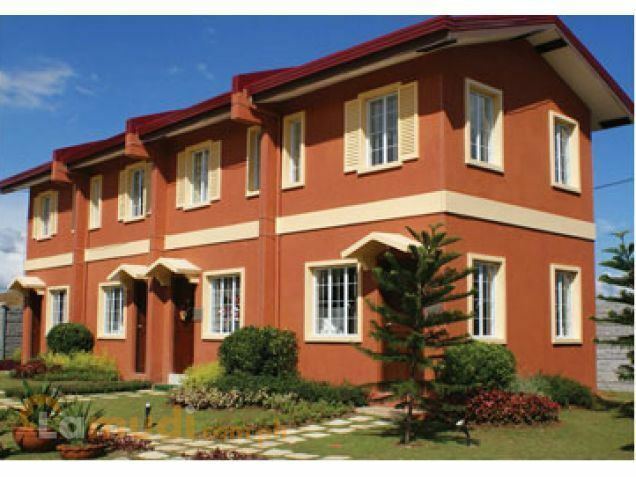 It is the Japanese town-like place in Davao, where there are Japanese villages and schools. There are various Japanese-owned businesses in the city. Davao is also home to Philippine Nikkei Jin Kai International School, a Japanese-administered educational institution. There are also Indonesians, Malays, and Indians living in the City. English language schools for foreigners, and export-oriented industrial parks to entice Japanese and South Korean firms to set up shop in the city. However, there were also some cultural conflicts in the integration of Koreans in the city, as the then-city mayor Rodrigo Duterte complained about their habit of smoking in public places. Fruit dishes, snacks, and desserts are also popular, most made from durian and bananas. 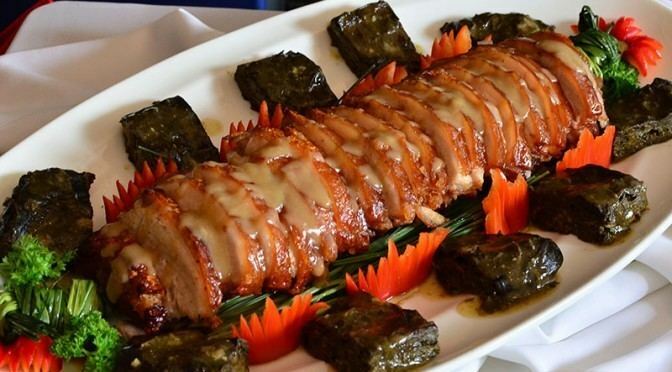 Ginanggang is a banana dish that originated in this city and spread to other parts of the country; a banana is grilled, skewered, brushed with margarine and sprinkled with sugar. As of 2011, there were 1,075,000 recorded tourist arrivals in the city, totaled from 81,081 foreign travelers, 983,315 local citizens, and 10,604 balikbayans/overseas Filipino workers. Estimated tourist receipts were recorded at 12.81 billion pesos while estimated economic benefits were 28.19 billion pesos. Popular modes of public transportation in the city are multicabs, jeepneys, tricycles, buses and taxis. Multicabs and jeepneys ply 82 designated passenger-vehicle routes around the clock. Tricycles ply routes beyond the main streets of the city. Taxis have several routes in and around Davao City. In mountainous areas, the habal-habal passenger motorcycle is the main mode of transportation. The Davao City and General Santos to Bitung, Indonesia sea connectivity route has also had just been started very recently. This route will enable traders from Mindanao to easily export goods and commodities like food and beverage, electronics and garments, beauty products, fertilizer, construction materials, agricultural inputs, tin cans and packaging materials up to North Sulawesi in Indonesia. The roll-on-roll-off (Ro-Ro) shipping service which will serve the route is the Asian Marine Transport, a Philippine registered shipping firm and operator of the Super Shuttle Ferry, Super Shuttle Roro, and Shuttle Fast Ferry vessels. Located north from the city center, Francisco Bangoy International Airport is the major airport serving the city and the region. It is the busiest airport in Mindanao and the third-busiest in the country. Around 1966, Philippine Airlines(PAL) the countries largest fleet and flag carrier commenced its first jet service domestically. The Davao City Government is targeting more international direct-to-Davao flights after there have been additional domestic direct-to-Davao flights that were recently launched. International airline companies and the city government are optimistic to open flights within 3.5 hours to 4 hours travel time from Davao. Whenever this would materialize, it will depend on these airlines. Top of the list are Cambodia, Japan, Laos, China, South Korea, Indonesia, Malaysia, Singapore, Taiwan, Vietnam, and Thailand. All of which can be traveled to within 4 hours. There are 31 hospitals and tertiary centers in the city like the Davao Doctors Hospital, San Pedro Hospital, Brokenshire Memorial Hospital, Ricardo Limso Medical Center, Davao Medical School Foundation Hospital (DMSF Hospital), Metro Davao Medical and Research Center, Adventist Hospital, MMG Hospital, CHDC Hospital and the Southern Philippines Medical Center. In addition, a non-profit organization that operates charitable hospitals and programs in 30 countries worldwide, the Tebow CURE Hospital, which is an orthopedic specialty hospital that has opened its first and only facility in southeast Asia located in Davao City, provides elective surgeries to both children and adults. Their primary charitable mission is to heal disabled children with conditions such as clubfoot, bowed legs, other bone deformities, untreated burns and cleft lip. A curfew on minors is enforced. All businesses, especially bars and discos, are mandated by a city ordinance to stop selling alcoholic drinks at 1:00 am (Final approval last July 24, 2013). Motorcyclists without helmets and motorists with defective lights are not legally allowed to enter (or drive in) the city. Social stability was crucial for the progress of the city. Under Rodrigo Duterte's tenure as mayor from 2001 to 2010, the city maintained its stability. The crime rate dropped between 1995 and 2008. However, the Davao Death Squad gained notoriety for vigilante killings; this earned Duterte the nickname "The Punisher" by Time magazine. The Public Safety and Security Command Center (PSSCC), the first in the Philippines, is located in Sandawa, Matina. It is headquarters for 911 and the center for the 170 closed-circuit television (CCTV) cameras installed in different strategic areas as of today covering access roads and populated downtown areas, and also including outside the Davao International Airport and six in different bridges to monitor the rise of water level in the city’s rivers. The center also controls traffic signals in the city. The city government provides free education at the primary (grade school) and secondary (high school) levels at public institutions. Currently, as sanctioned by the Department of Education, all primary and secondary institutions in the city use the K-12 educational system. Davao Medical School Foundation, a medical school mainly for students from Southern India and the Philippines. Gabriel Taborin College of Davao Inc.
Colegio de San Ignacio Inc. The YUCHENGCO-led Mapua Institute of Technology (MIT), the country’s largest engineering school, is set to enter a new campus in Davao City. Malayan Colleges Mindanao will start its operation by June 2018. The Lyceum University of the Philippines (LUP), the first and only campus outside of Luzon will be in Davao City in which the construction had started last April of 2017 and will have a targeted completion also by 2018. Davao City also invest in Online Media and has its official online news/media website which is the Davao Eagle. The influx of foreign visitors and the presence of expatriates and migrants in the city have prompted the governments of Japan, Palau, Malaysia, Indonesia and the United States to open consular offices in the city. 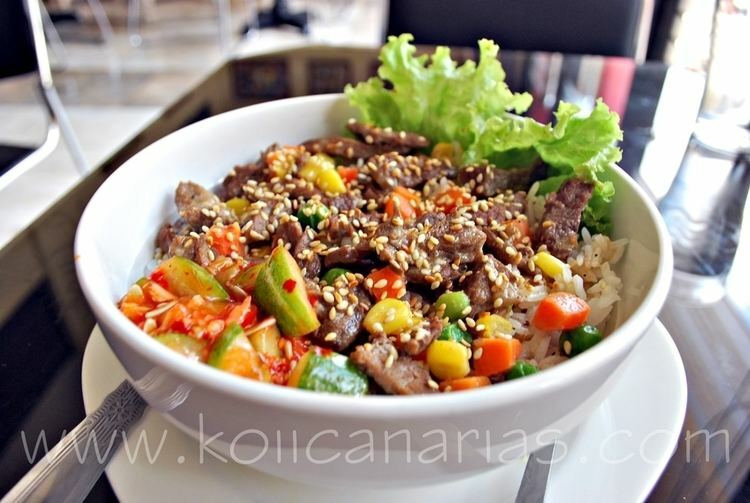 Honorary consulates of the Czech Republic and South Korea were recently established. The U.S. Embassy in the Philippines opened a virtual consulate, where inquiries regarding visas, foreign-relations concerns and travel to the United States can be made by e-mail and chat. The virtual consulate is maintained in coordination with Ateneo de Davao University, University of Mindanao, University of the Immaculate Conception, Holy Cross of Davao College and AMA Computer College.